 Administrators and users can add Essence and Raven phones to Jablotool by re-sending registration SMS from their own phone.  New Essence (model GDP-06i) can be added to Jablotool by entering service code in the phone menu. 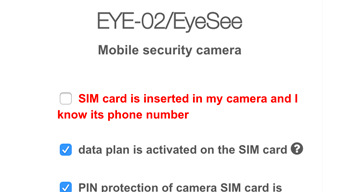  Users can add EYE-02 and EyeSee cameras to Jablotool by re-sending registration SMS from their own phone.  Various minor bug fixes in versions 3.9.1 – 3.9.13.  Raven can be added to a phone group in Jablotool.  Immediate synchronization between Jablotool phone group and registered Raven phones.  Various minor bug fixes. Administrator can move phones between groups. Group “Unassigned phones” is available to administrator.  JabloTool supports registration of Raven. Feature will be available for Raven with SW 1.9. 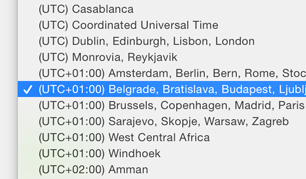  Fixed bug: JabloTool showed CET time in Live connection to the camera even when local camera time was different. Improved switching between watching and sleeping mode of your camera. You can always see the current status until camera confirms it. 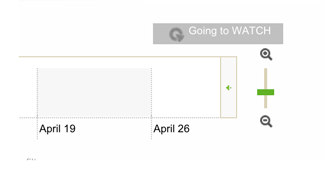 Wherever your devices are, stay informed in your local time. You can find this feature in account settings. A quick checklist of all things you will need to add a new device, so there are no bumps on the road.  Improved troubleshooting when user cannot connect to EYE-02 or EyeSee camera.  Fixed counters of SMS, MMS and data. Counters were swapped. 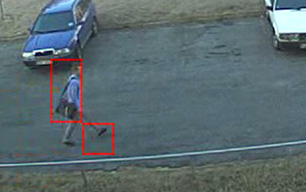 JabloTool highlights motion detection on video recorded after alarm. 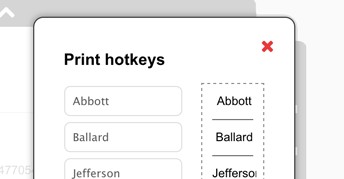 Setup hotkeys easily online and print label for your phone. 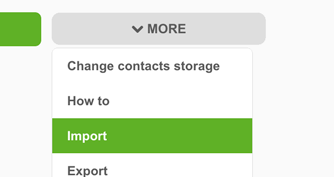 Admin can import and export admin contacts in the phone group. 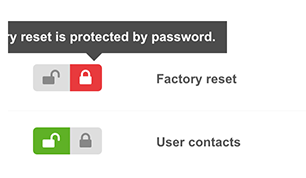 Admin can protect factory reset of phones by password. 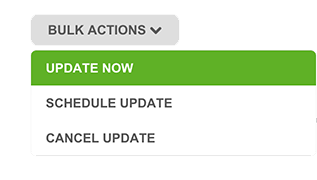 Admin can schedule and perform bulk update of phones.  Adding Essence to phone group is easier in case previous registration failed.  Admin can give name to Essence already when adding phone to the group.  Configuration of contact synchronization with MS Exchange is extended.  JabloTool automatically shows position of Essence on the map.  User can delete SMS history shown in JabloTool.